(WJCL) In over 150 years. Fort Jackson has seen much of the area’s history. On Thursday it will see yet another milestone with the beginning of the Savannah Harbor Expansion Project (SHEP). The U.S. Army Corps of Engineers will mark the beginning of construction on the SHEP at 10:30 a.m. that day at 1 Old Fort Jackson Road in Savannah. The first action begun under the construction phase of the expansion is the recovery of the CSS Georgia ironclad from the floor of the Savannah River. Confederate forces scuttled the CSS Georgia near Old Fort Jackson in 1864. 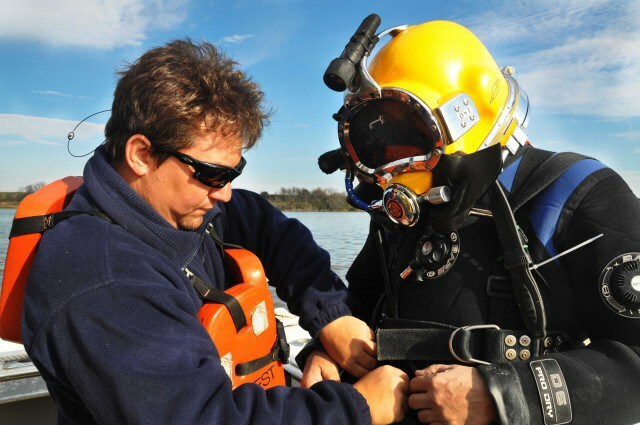 Col. Thomas Tickner, commander of the Savannah District, will host the Jan. 29 event and will be accompanied by the district’s archaeologist, divers conducting the recovery and others who can speak about the SHEP. The Georgia Ports Authority will also send representatives. All will be available for group or one-on-one interviews. All interviews and statements will be on-the-record and for-attribution. Parking is convenient. The SHEP will deepen the Savannah harbor and the associated shipping channel from an authorized depth of 42 feet to 47 feet. This deepening will allow larger, more efficient container vessels to use the east coast’s second busiest container harbor with fewer weight and tidal restrictions. The contract to recover the CSS Georgia was the first awarded under the construction phase of the project. Officials from the Savannah District will soon award other contracts to extend and deepen the channel into the Atlantic Ocean and to construct and install an oxygen injection system into the harbor. The SHEP has been under investigation and planning since the passage of the Water Resources and Development Act of 1999. Congress reauthorized the construction of the SHEP in the Water Resources Reform and Development Act of 2014. The cost of the $706 million project will be shared by the U.S. government and the State of Georgia. The Georgia Department of Transportation is the official state sponsor and the Georgia Ports Authority acts as executive agent. The Savannah District awarded the initial contract for recovery of the CSS Georgia to Dial Cordy and Associates of Jacksonville, Florida. This entry was posted in Headlines and tagged Savannah Harbor. Bookmark the permalink.